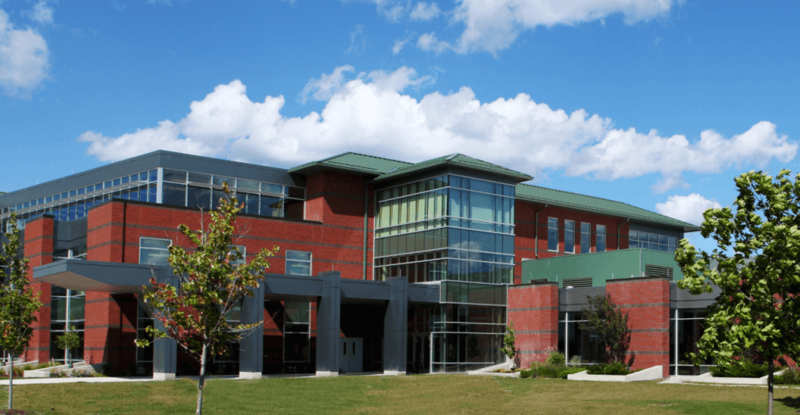 Mid Michigan Community College (MMCC) is a two-year public community college founded in 1965. The college has two full service locations, one in Harrison and one in Mt. Pleasant. It offers one and two year certificates and associate degrees in transfer, occupational, and health science programs and students can choose from a wide array of career programs like nursing, radiography, welding, CAD, and many others. MMCC’s transfer programs help students prepare for a four-year degree while earning valuable credits at an affordable cost. What are some of the main IT challenges you face? Keeping students on topic in the computer labs was proving to be a real headache. Without adequate controls in place the students would be surfing the net instead of listening to the instructor. The wealth of teaching tools in NetSupport School ensures students actually have to follow along with what the instructor is doing, making teaching much more efficient and effective not matter what platform or device we use. For instance, the screen sharing and monitoring tools allow the teachers to keep the students on task, plus the blocking and control tools stop students accessing things they shouldn’t. The software had an immediate impact, making computer-led instruction much more efficient. Being able to monitor student activity from a central console and take control of any machine if needed (whether from the teacher’s PC or technician’s) has proved a real winner. Pushing files to student computers is another great time saver. 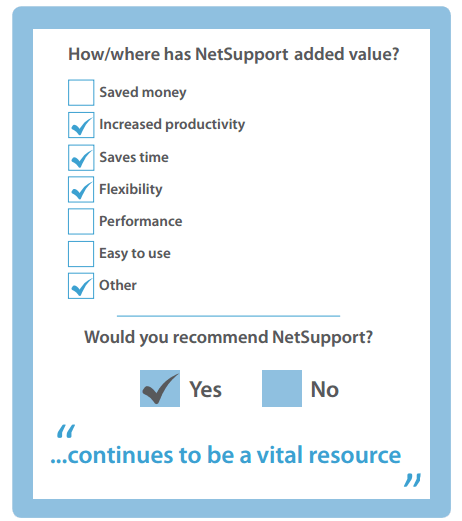 NetSupport School continues to be a vital resource and with regular updates combined with flexibility of use across different PC and mobile platforms, we can rest assured that the product will continue to meet our long-term needs.